This morning Panyaden School gathered to celebrate the unique language and culture of Thailand with local dances, music, stories and traditions that are important in Thai life. Kru Dokmai and Kru Neil opened the day’s celebrations with speeches in Thai which focused on the importance of language as a gateway to understanding and preserving culture. The speeches were followed by a lovely performance from our Dance and Drama Club students. They danced to a lively local song celebrating life in Thailand. 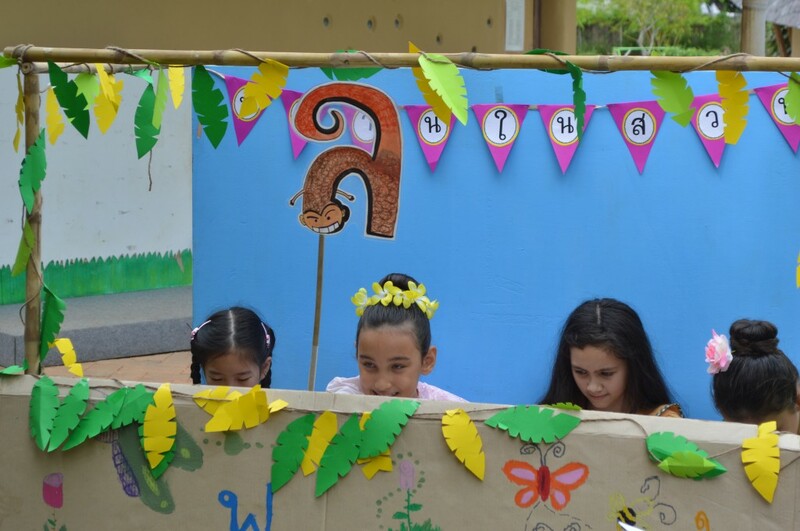 Next our schoolmates entertained us with a short play about why we chose to celebrate this day. 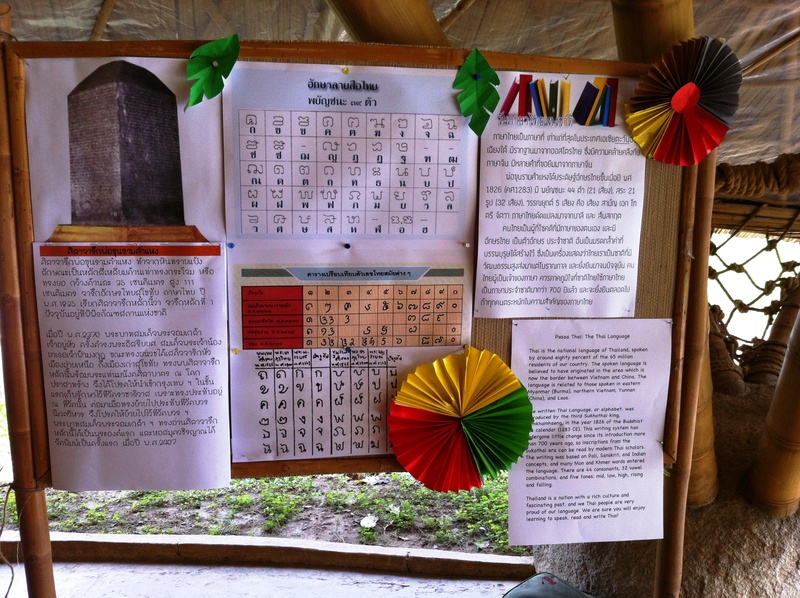 Our friends had spent time researching the famous Thai poet, Sunthorn Phu who wrote the well-loved Thai classic, Phra Apai Manee, about a hero who overcame obstacles to find his father. Then lo and behold! A character from the story, the evil hermit with a long unruly white beard popped out unexpectedly from behind the stage to capture our hero! 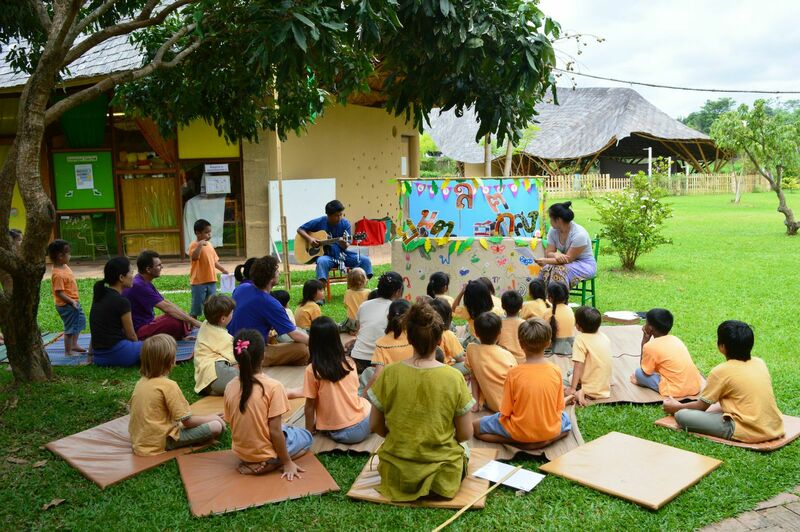 We then listened to Prathom student representatives who read some Thai verses and literature. Some shared their creative essays while one of our foreign classmates told us in Thai how much she enjoys learning the language. 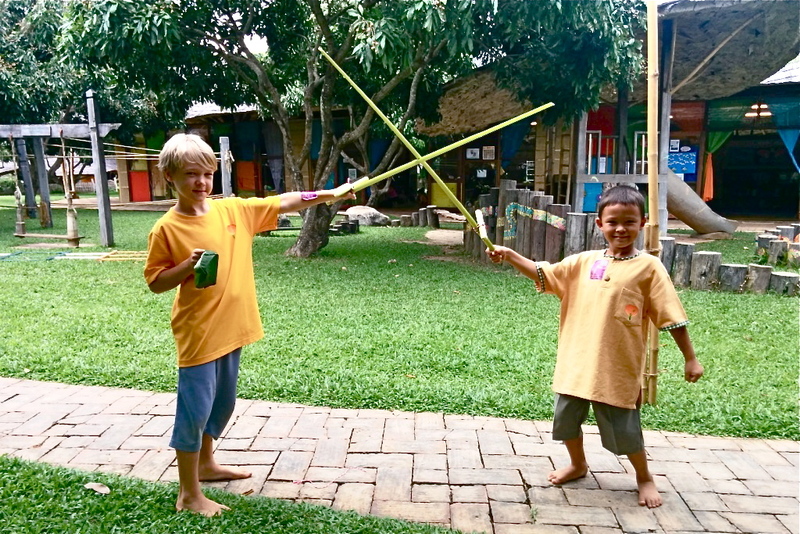 Later we enjoyed Thai traditional games and activities like grilling sweet potatoes and other local desserts, making natural crafts like banana leaf containers and swords from banana stems. 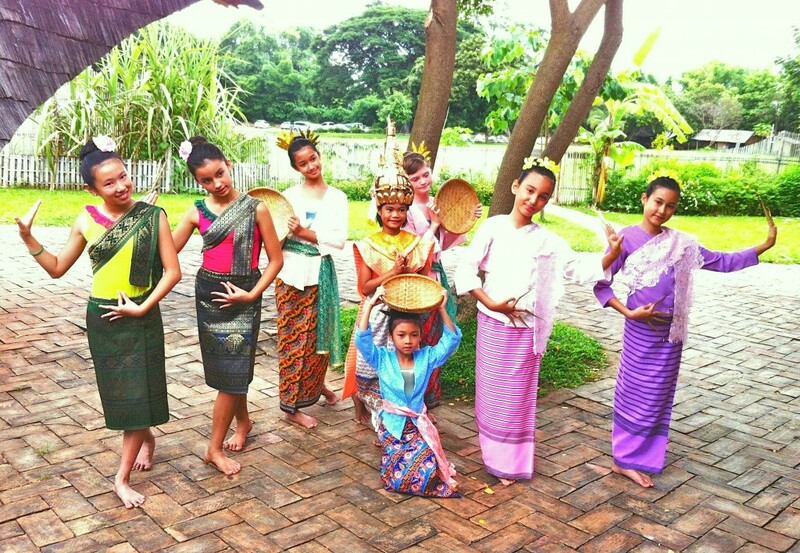 What a fun and interesting way for us to learn more about and appreciate Thai culture! More photos on the blog and on Facebook. 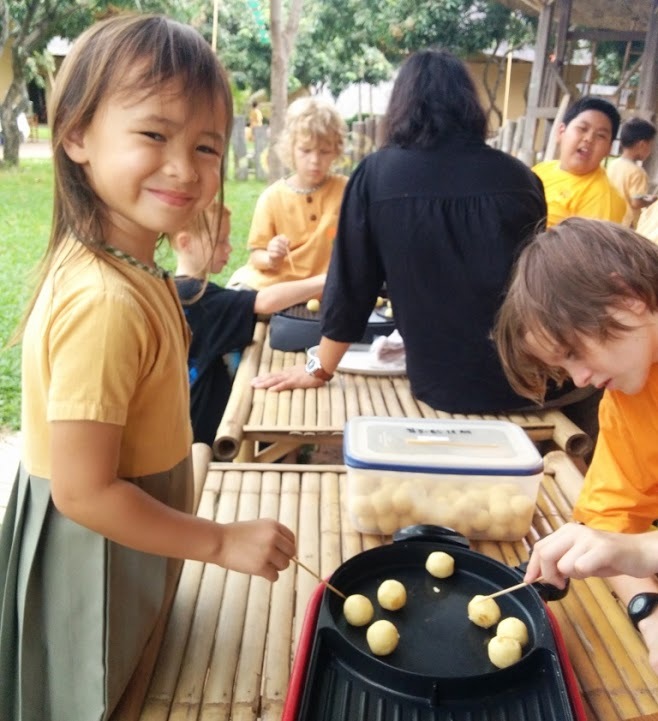 This entry was posted in Featured Posts, School Curriculum and tagged Dance and Drama Club, language and culture of Thailand, local desserts, Prathom, Sunthorn Phu, Thai life, thailand.